(ß Щ Albert) ă 46094 L/Cpl 12 Prince of Wales Own West Yorkshire Regt., later attached to 252 Coy R.E, & 1/7 West Yorks. (252 Coy R E was a tunnelling company). b 1885 Hathersage Booths. 1901C a building stone worker, living with sister Dora Ann and widowed father at Bank Top, Hathersage, (next door to Robert Charles Wilson). 1911C at Whim Cottage, a quarry man. 1919; Absent Voters register address still Whim Cottage, with his wife, Olive. Hathersage. (DC 7/4/1917, ‘Helps on father’s farm of 110 acres and ploughman for Mr Spittlehouse granted 4 months exemption’). 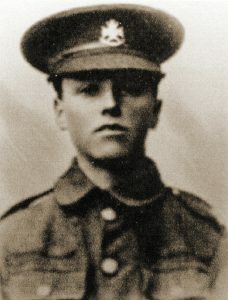 (DC 18/8/1917 (age 18). ‘Granted a further 6 months exemption’) No more known. ✟ ß Щ 29011 Pte. 10 Bn Sherwood Foresters, ‘Nottingham Pals’. 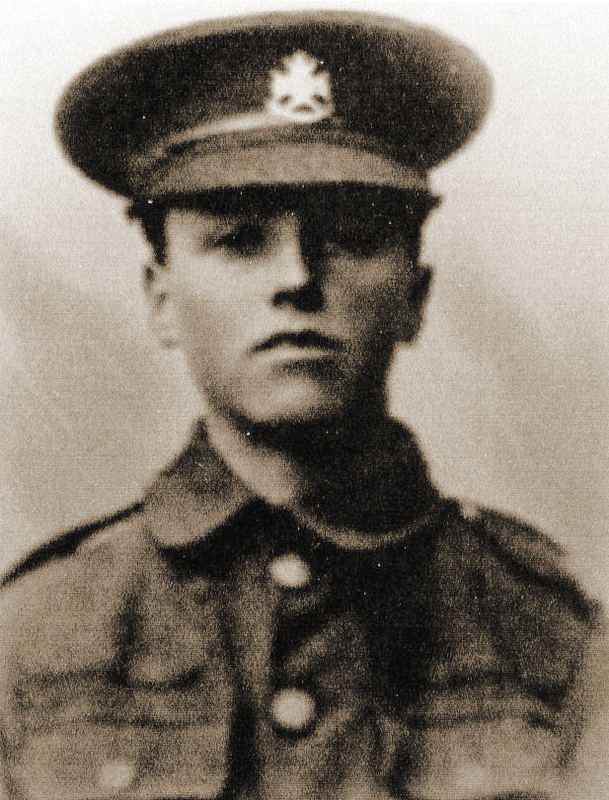 Killed by an mine explosion under their trenches during the batlle of “The Bluff”, St Eloi, Belgium, on 14/2/1916, age 20. 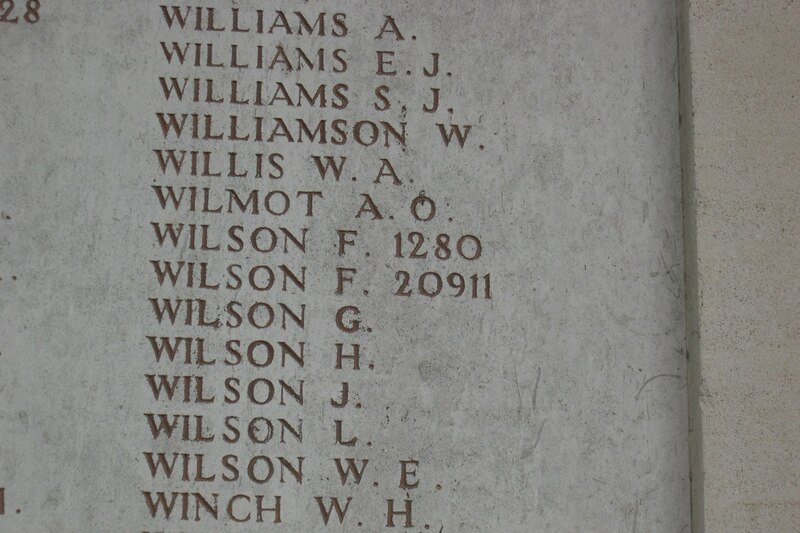 Remembered on the Menin Gate, Ypres, Belgium. (See article & photo p 50 WHW2W). (DT 20/1/1917 ‘news has reached the parents in Hathersage that Pte J Wilson, Sherwood Foresters, missing since 14/2/1916 is now officially listed as dead’) The J Wilson referred to is this Frank Wilson. b 1895 Barnfield Cottages, Hathersage. Lived at The Dale. 1901C living at Church Bank Top, with Millicent and Charles Robert, his siblings, widower father, Robert Charles Wilson (coal & corn carrier) and his mother Sarah’s father, Samuel Darwent. 1911C a farm labourer at Green’s House, Hathersage with Jesse Wragg & family. Also at one time a farm labourer at Highlow. ß Щ At time of signing on in January 1915 he was living at 70 Swarcliffe Road, Sheffield, but was not called up until May 1918, 51988 Pte 6 Bn 9/2 Duke of Wellington’s West Riding Regt. (DC 21/9/18; ‘home on leave this week’). He went to France in October 1918 and was wounded on 4/11/1918, a week before the armistice, probably in the Battle of Sambre. Promoted to L/Cpl in Jan 1919 and transferred to 2 Bn West Riding Regt in July 1919 before being discharged in Oct 1919. b 1897 Hathersage, son of Robert Charles (coal & corn carrier), brother of Frank. 1901C living at Bank Top, Hathersage, with his siblings, widower father, and his mother Sarah’s father, Samuel Darwent. 1911C a farm labourer at Scraperlow Farm. Oct 1919 living at Bank Top, Hathersage. He became a police officer in Sheffield, retiring with the rank of Superintendent. He married Gladys Martin in 1923, in Sheffield, and died in 1977 when he was living at 193 Twentywell Lane, Sheffield. Pte 38213 E Coy Yorkshire Regt (Green Howards). Discharged early 1918 suffering from exhaustion and Psychosis (possibly shell shock?). b Brighouse 1887. 1911C a picture framer at Brighouse. His mother, Hannah Turner b Hathersage 1859. Ordinary Seaman SS 8635. b 1900 Ashton. 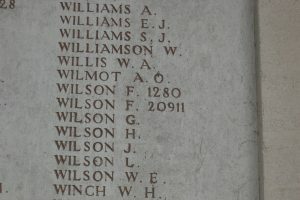 1911C listed as ‘Stuart’ Williams, Ashton. His mother was Elizabeth Brewster b1868 Hathersage. 1871C of Sheffield Road, Hathersage. 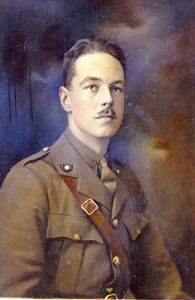 There was also a half-brother; Gordon, and a brother Richard Harley Williamson b 1897 (named after his father) and another half-brother, Arnold b1884, who also could have served but no evidence has been found. ✟ ≠ L/Cpl 26340. 5 Field Survey Coy R.E. D of W 13/09/1918. Buried in St Sever Cemetery Extension, Rouen. b 1891 Mossley, Cheshire. 1911C listed under his initial only at Ashton-under-Lyne. His mother was Hannah Hallam b1864 Hathersage, and on 1871C living at The Hill, Outseats. He is on a website of soldiers missing from the Stalybridge Memorial. His brother James b1884 could also have served, but no evidence has been found. Ordinary Steward L 10233 RN. Naval Record says he was a steward before he enlisted as a ‘Substitute’ for someone else. b1885 St Johns, Derby. 1901C a page boy, domestic, at Brookfield Manor Hathersage can’t find him on the 1911C probably already in the Navy. Origins and family uncertain. Temp Capt 8 Bn K O Y L I. Wounded on first day of the Somme, 1/7/1916. b 13/10/1894 at Sheffield. 1911C at Harrow School. 1912 the family living at ‘Heatherfield’, Hathersage. He was at Gonville & Caius College, Cambridge at the outbreak of war. He became a Doctor like his father and died 7/3/1975. Brother of Donald Arthur above.